Oh, it’s good to be queen! 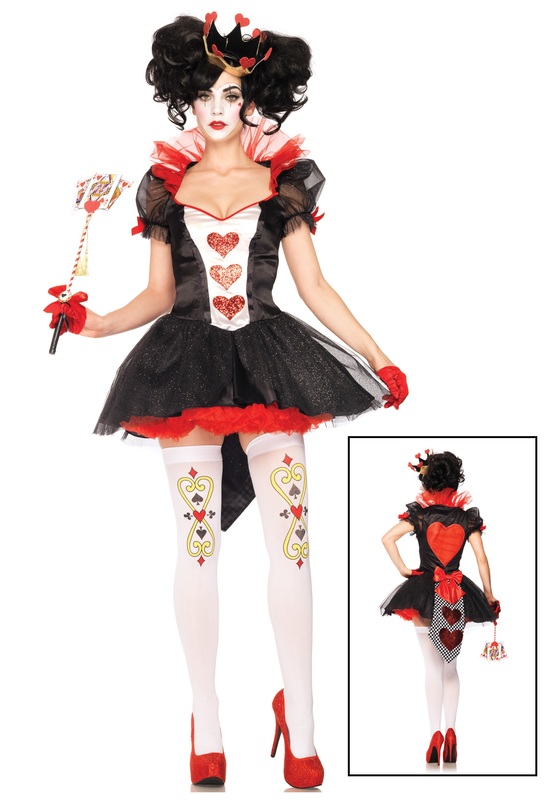 It’s written in the cards – when you step out in this Royal Hearts Queen Costume, heads will roll. Okay, not really, but it’s good to feel the power sometimes, isn’t it? So it’s time to put down that croquet mallet and stop playing around this Halloween. You have a kingdom to rule and some major obstacles to put in the path of a certain blonde-haired girl named Alice. Plus, we’re sure it’s getting old living in a big palace and seeing the same boring subjects every day. It can make a girl just a little bit, uh, cranky. 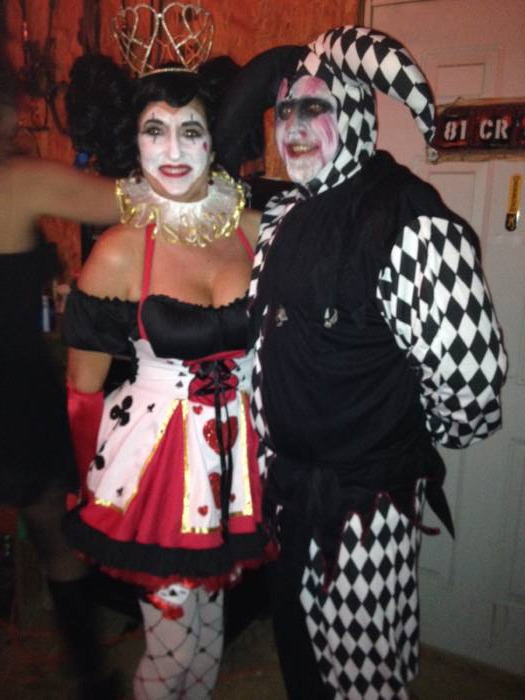 Anyway, you’ve got all the fire and passion it takes to pull off going out as the queen of hearts, and you know it. So get this costume on and leave them all speechless and maybe holding their heads at the Halloween party or costume party. They know all that “off with their heads” business is just your fancy, but it never hurts to make everybody a little intimidated anyway. The Royal Hearts Queen Costume will have you looking like the villainous queen in no time at all. It’s all red ruffles and red bows and sparkly, glittery hearts, of course. There’s a stand-up collar and puffed sleeves, a little bit of mesh and a whole lot of satiny glamour. The costume zips up the side and a black tutu that shimmers in glitter. There’s even a white coattail in back with glitter hearts in just the right place. And your crown, your majesty. It’s golden and accented with seven sparkly hearts. Now, look in the mirror and say it: “Off with their heads!” Come on, you know you want to. I love this costume. Great quality material and well made.